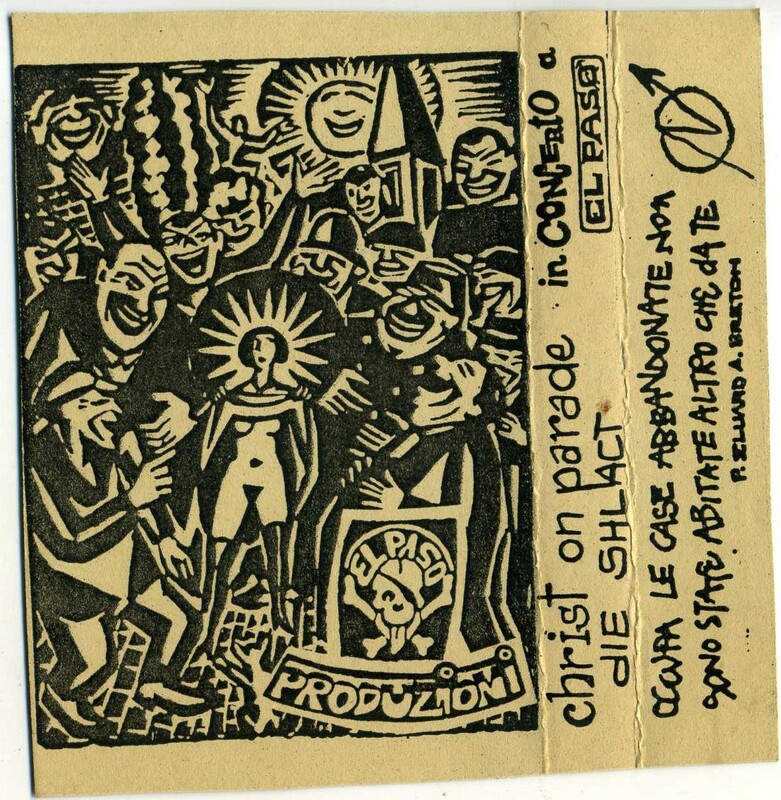 Live bootleg tape with 2 excellent HC punk bands!Christ On Parade from Usa and Die Shlact(on the cover sleeve of this tape this name is misspelled,in fact their real name is Die Schlacht ) from Germany. They toured together in 1989, just one week after that the Die schlacht drummer left the band,so on this tape the Christ On Parade drummer is playing with the german band too.There is actually a vinyl release of this tour on Uberschall Records,a label from Bremen,same city of Die Schlacht. The recording of this live tape is very good,the cover sleeve reports no info or songtitles.I got those info listening to the talks between the tracks and using the net. 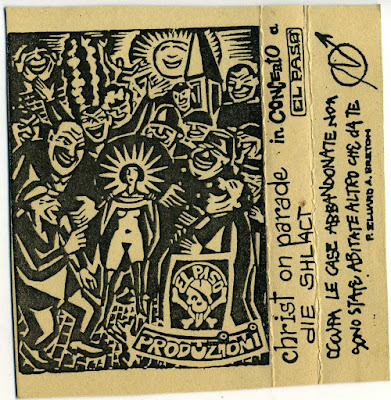 I have already posted few tapes released by El Paso , a big squat in Torino(Northern Italy)active since 1987,one of the oldest in Europe ,it is still squatted and very active.